Indian farming equipment maker Escorts Limited will reveal its autonomous tractor on September 6. The company claims that this will be India's first autonomous tractor. The reveal will take place at Esclusive 2018, an event at Indira Gandhi Stadium in New Delhi. The company has not revealed much about the project including what level of autonomy the vehicle will employ. 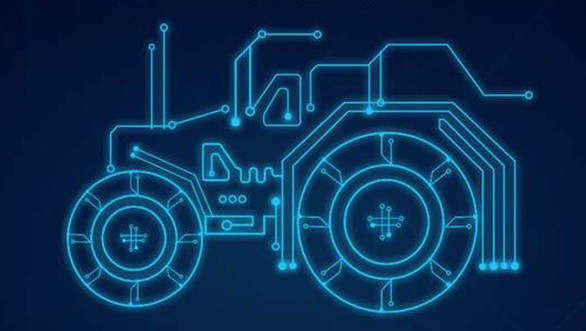 However, what we do know so far is that tractor will come powered by technology and support from Microsoft, Bosch, Jio, Trimble, AVL, WABCO, Doosan, Tadano and Motherson Sumi Systems Ltd.
Escorts Limited chairman and managing director Nikhil Nanda will unveil the autonomous tractor. The company has stated that it will show an exclusive range of smart machines for autonomous farming and next-gen infrastructure. This could suggest that Escorts plans to reveal autonomous solutions beyond just the tractor, including connected systems to future-proof the industry. So stay tuned for all the details on Thursday.